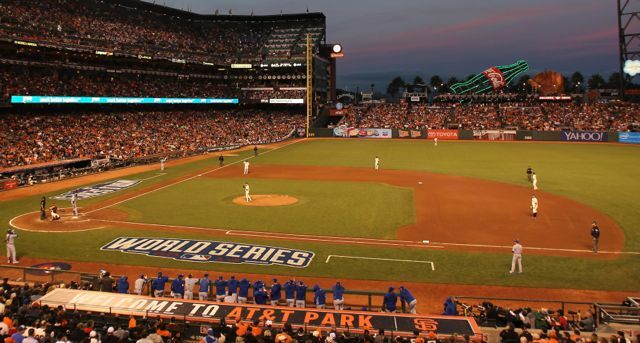 The most-connected park in all of baseball is still finding ways to serve more people more data, as proven by the wireless consumption records set by the San Francisco Giants during last year’s World Series. 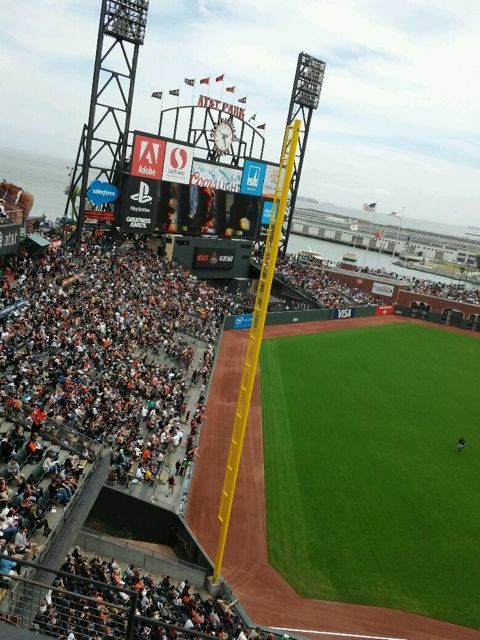 The traffic generated at the three games at AT&T Park was “definitely more than anything we had ever experienced before,” said Bill Schlough, senior vice president and chief information officer for the Giants. 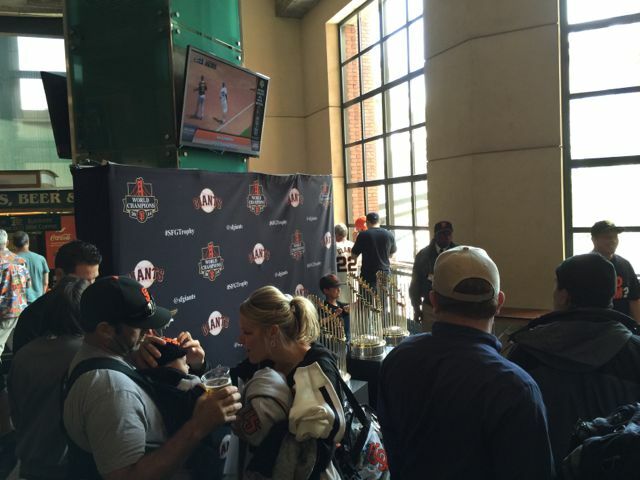 The combined download and upload numbers for both the park’s Wi-Fi network and AT&T traffic on its DAS network averaged 2.08 terabytes per game, Schlough said, with a high of 2.14 TB of total traffic for Game 4. Since AT&T Park has had Wi-Fi longer than any sports stadium in the U.S. – this season will be its 12th with stadium-wide Wi-Fi – and since last year was the Giants’ third World Series in five years – Schlough’s team was perhaps a bit more prepared than most IT staffs for the expected demands. “The traffic followed the standard trend, where each round [of the playoffs] saw successively higher demand,” Schlough said. Upload totals also increase as the team progresses through the playoffs, he said, perhaps more so now that fans of all types are getting more adept at adding multimedia to their messaging. Prior to last year’s games with the Kansas City Royals, the top Wi-Fi traffic event at AT&T Park had been a couple concerts earlier in the sum- mer starring Jay Z and Beyonce, where Schlough and his staff saw upload totals of 410 GB on the second night of the show. The World Series games blew by that previous record total with an average of 700 GB uploaded per game, with a high of 750 GB for Game 5. Wi-Fi download numbers for the three series games averaged 890 GB, Schlough said, with a max of 940 GB during Game 3. For the AT&T customers on the park’s DAS, download num- bers for the Series averaged 320 GB per game with a maximum of 350 GB for Game 4. DAS upload totals were an average of 170 GB per game. What amazed or satisfied Schlough even more than the raw data numbers was the Wi-Fi take rate, or the number of fans connected to the network. For the Series it hovered right around 50 percent, meaning that every other fan in the 42,000-seat venue was using the network. Regular-season Wi-Fi take rates, he said, were usually in the 30-percent range, climbing to 40 percent as the playoffs progressed. 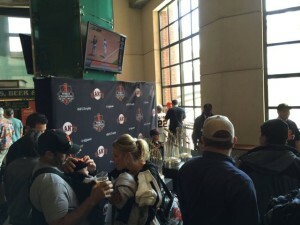 One thing that helps people connect to the Wi-Fi network at AT&T Park is the overall ubiquity of AT&T hotspots – “If you’ve accessed another AT&T hotspot anywhere else, you get automatically activated when you’re here [at AT&T Park],” Schlough said. For 2015, Schlough and his team will finish off the latest Wi-Fi upgrade with the installation of another 400 under-seat APs for the stadium’s upper decks, which will bring the park’s AP total to almost 1,700 when it’s finished. 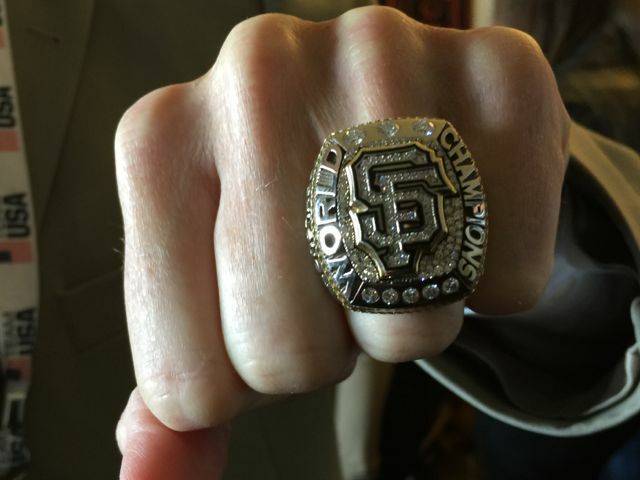 Already this year Schlough said that fans at Giants games are using more data than last year – an average of 1.1 TB per game over the first 10 games of the 2015 season, compared to an average of 650 GB per game over the same time period in 2014.
which he expects might happen at AT&T Park before it happens anywhere else, perhaps due to the overall technological bent of the local populace.